Whose money is that, anyway? Problems in the construction of the Zapata County courthouse (right) led to litigation between S&P (the general contractor), and its subcontractors, as well as between S&P and its insurer. The insurer and S&P disputed S&P’s allocation of the proceeds from settlements with the subcontractors, and the Fifth Circuit affirmed judgment for the insurer: “S&P bears the burden to show that the subcontractor settlement proceeds were properly allocated to either covered or noncovered damages. If S&P cannot meet that burden, under the [two controlling cases], then we must assume that all of the settlement proceeds went first to satisfy the covered damages under U.S. Fire’s policy.” Satterfield & Pontikes Constr. v. U.S. Fire Ins. Co., No. 17-20513 (Aug. 2, 2018). Like breaking into CIA headquarters, sneaking into the Vatican, or hanging off the side of the Burj Khalifa, sometimes getting the deal done seems impossible. The key to any successful mission is planning for disastrous contingencies—be they rats in an air duct, malfunctioning suction gloves, or having to reach out to a third party to finance the bid you just won. Your mission—should you choose to accept it—is to learn how to avoid the fallout of an oil and gas acquisition gone bad by studying Pacific Energy & Mining Co. v. Fidelity Exp. & Prod. Co.
Fidelity and Pacific entered into an Asset Purchase Agreement whereby Fidelity would sell certain oil and gas assets to Pacific. Pacific, lacking the necessary funds, approached Norman to help finance the acquisition. Those parties entered into a Memorandum of Understanding setting out their intent that Norman would put up funding and own the assets and Pacific would act as operator. Fidelity agreed to the assignment of the APA from Pacific to Norman (required under the APA) so long as Pacific agreed to remain subject to its APA obligations. The deal quickly unraveled. Pacific sued Fidelity for breach of contract and Norman for breach of fiduciary duty of loyalty (among other claims). Did Pacific have standing to sue Fidelity? No. Fidelity’s argument was that Pacific did not have standing to sue for breach of contract because it assigned all of its rights in the APA to Norman. Pacific’s response was there was a “partial” assignment because Pacific retained its obligations. 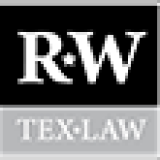 When one party to a contract assigns the contract, the assignor loses all rights to enforce the contract; however, the assignor is still liable to the other party unless released. Pacific’s retention of its APA obligations was a reflection of existing law. The assignment was not a “partial” assignment that entitled Pacific to sue Fidelity. Were Pacific and Norman partners? Do both parties receive or have a right to receive a share of the profits? Is there an expression of an intent to be partners? Do both parties participate or have the right to participate in control? Is there an agreement to contribute money or property? The MOU did not evidence intent to be partners. A JOA is not evidence of intent to form a broader relationship. What’s important is whether the parties hold themselves out to third parties as partners—and there was no evidence of that here. Norman would’ve had complete discretion in how to develop the assets and Pacific would only have rights as operator under the JOA. Pacific’s assignment of its rights under the APA to Norman could have been a “contribution,” but evidence of only one factor in the analysis is insufficient to prove the existence of a partnership. Considering all factors, no partnership existed. Pacific made other arguments, all of which were untimely. Trial lawyers: See the decision for lessons about pleading your case. This message may self-destruct in five seconds, but not the musical interlude. Good luck. With its deal to acquire entertainment assets from 21st Century Fox, Disney is close to snaring popular properties including ‘The Simpsons’ and ‘Avatar.’ Here is a look at marquee Fox properties and what Disney might do with them. In the escalating trade fight between the U.S. and China, both sides are targeting plenty of products they don’t actually import from one another. Some big U.S. multinationals are being partially audited by Chinese accounting firms U.S. regulators can’t check. The Farnborough International Airshow in England this past week highlighted technology of the near future, including autonomous aircraft and urban flying vehicles that don’t need an airport. Facebook said it was suspending analytics firm Crimson Hexagon while it investigates whether the firm’s government contracts violate Facebook policies. Hollywood’s longstanding say-anything, do-anything culture is rapidly turning into one where the wrong words can kill careers. Congress abandoned a bipartisan attempt to undo President Trump’s deal with Beijing to save Chinese telecommunications giant ZTE Corp.
Fiat Chrysler appointed a new chief executive Saturday in an unexpected move to replace the ailing Sergio Marchionne, who has led the company for nearly a decade. The president’s unorthodox approach to economic policy could harm some U.S. industries with tariffs, but it also includes concrete plans to maintain America’s technological edge. The number of Americans claiming new unemployment benefits fell last week to the lowest level in nearly five decades. President Trump continued his criticism of the Federal Reserve, saying higher rates hurt the U.S. economic expansion, and accused China and Europe of manipulating their currencies to hurt the U.S. on trade. The Chinese president wrapped up three-day meeting in U.A.E with flurry of business agreements, bolstering economic ties with a key ally of Saudi Arabia, just as Beijing is emerging as a critical partner for an increasingly isolated Iran. For the first time in six years, the portion of U.S. workers offered health insurance through their employer has risen, a sign a tighter labor market is prompting businesses to offer more generous benefits. Facebook’s WhatsApp messaging service is making it harder for users to forward content after the spread of rumors on the app led to mob violence and the killing of more than 20 people in India. Oil producers are ordering more equipment and lining up drilling rigs for later this year, according to top industry executives, indications that international activity is picking up. In one generation, manufacturing districts have flipped from Democratic strongholds to Republican ones. The swing is remaking both parties on issues from trade to social policy—and could shape the midterm elections.